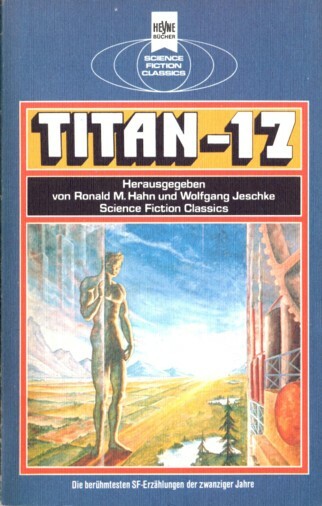 It's 'Titan-17' on the cover, but 'Titan 17' on spine and title page. Table of contents on p. 5f. ; individual shortfiction copyrights on p. 237. Cover and interior artists credited on copyright page ("Das Umschlagbild schuf Morris Scott Dollens" / "Die Illustrationen im Text zeichnete John Stewart").